At the heart of the matter is the fact that these referees are not as well trained as the refs who should have been on the field last night. 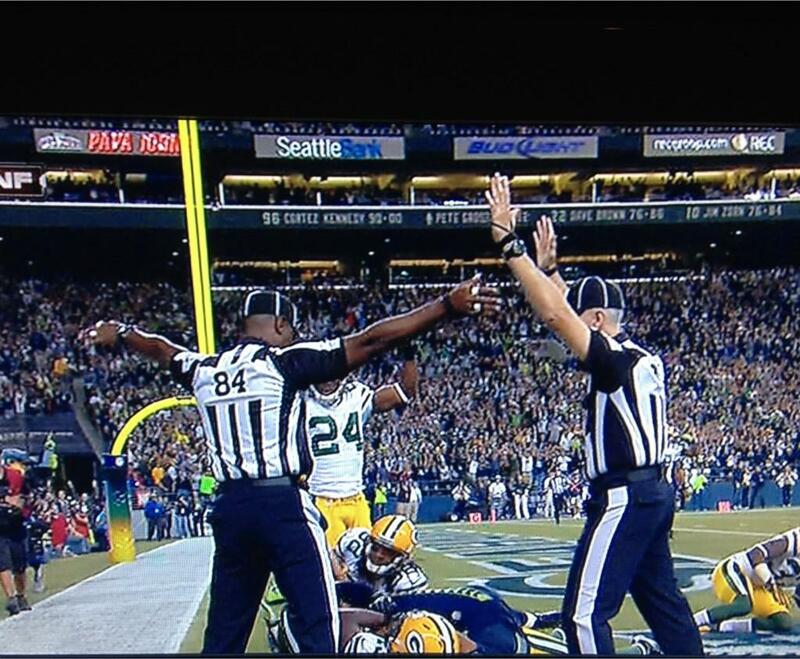 Those refs are currently on strike due to contract disagreements. People who take jobs from striking workers are called "scabs" - and this word is supposed to bring out all the negative connotation you can imagine. Those two in the picture are scabs, doing their job badly. Scabs have a long and colorful history in our country. 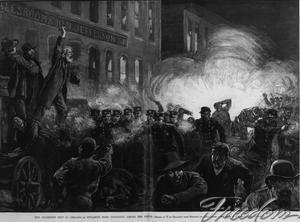 One of the most infamous incidents is called the Haymarket Riot. After a prolonged and bitter strike where the scabs were given the working conditions that the union had demanded, some union members had attacked scabs and the police ended up killing two men and wounding many others. On May 4th, 1886, what was supposed to be a peaceful gathering ended up killing seven police officers, four men, and countless wounded. May Day is now used as a commemoration of this. Read a first person account of the Haymarket Riot from a police officer, titled "Anarchists were flying everywhere"